The Rotary Club of Madras East (RCME) is organizing a Mega Life Changing and Impact Making oratorical event on Sunday, 11th December 2016 at the Madras University Centenary Auditorium, Chennai, between 4 and 6 p.m. 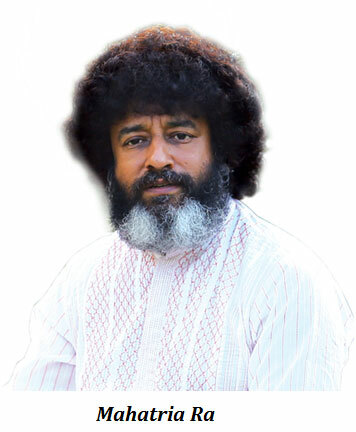 The program is an address by the universally acknowledged and revered speaker, Mahatria Ra. The oration is titled, The Power of Beliefs, where over 3000 people are expected to participate, which will supplement the finances to effectively carry out the various social service projects undertaken by the club. Community Health, Vocational Training and Awareness as a tool for development are the 3 corner stones which The Rotary Club of Madras East has years been pursuing with passion for the past 30 years. Cancer screening mobile bus costing Rs. 4 million is a boon for thousands of poor. The ICU at the Hindu Mission Hospital where Rs. 4.6 million was spent. The Dialysis Centre at Nungambakkam PHC where free dialysis is done. The WINNERS Baking and Confectionery Institute at Bheemannapet Community College alongside Nurses Programme and Computer Hardware programs are a great draw. The soon to be introduced Beautician’s course, Plumbing and Carpentry are being eagerly sought after by the marginalized. A Sustainable Water Management Initiative, a year long Embrace our Rivers project with the Goethe Institut of Germany, re-energising the youth of India in schools and Colleges. Holistic skill development at Corporation Schools in Chennai and aiding 8 of the school toppers with an educational tour of Germany. The event has been sponsored by Radio One, BMW, Adyar Ananda Bhavan, Kauvery Hospital, Saraswathi Vidyalaya etc. All proceeds will go to skill development and job creation projects of RCME.